My subject this afternoon is Sadi, the great Sufi Poet of Persia. In point of fact all the poets of Persia were Sufi poets; their point of view is recognized as the Sufi point of view; not only the poets of Persia, but also the poets of India.The works of Sadi have been considered in the East simple and educational, and at the same time uplifting. And in India they begin the education of Children with the works of Sadi. His Karima is taught to children of nine or ten, and at the same time it is not just a legend or an amusing story: it is like a seed sown in the heart of a child of that age, that in time it may flourish and bring forth fruits of good thought and imagination. Karima is a poem of thanksgiving. In it the first lesson Sadi gives is to learn how to be grateful, how to express gratitude, how to appreciate; and so he teaches the lesson of gratefulness and appreciation for all in the world, for the kindness and love of mother and father, and of friend and companion, by teaching first gratefulness to God for all the blessings and benefits man receives. Sadi begins in Karima by saying: 'Oh Lord, most merciful, I ask Thy forgiveness, for I am limited and in this life of limitation I am always apt to err.' 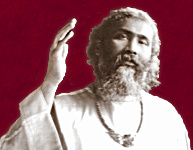 He teaches in the first lesson, that man should recognize his limited condition, and that this limitedness makes him subject to error, and at the same time he suggests the innermost desire of every soul to rise above limitations and keep from error, to seek divine love and ask pardon, and to appreciate all the blessings he receives in life, in order to rise towards that ideal stage of the humane man. And as we see life today it seems this is the very thing which is lacking. When children grow up without that tendency of appreciation, they often cannot understand what their mother has done for them, what their father has done for them, what their duty is to their kind friends, to older people, to their teacher. And when they grow without developing that gratefulness in their nature, the egoistic nature which naturally develops becomes terrible. A boy who does not appreciate in his childhood all that his mother has done for him, cannot then learn to be tender and gentle to his wife, for his first lesson he has learned with his mother. Everything that by nature springs up, has to be refined, and in its fulfillment it has to become perfect. In human nature there is a self asserting tendency from childhood. Most pronounced in the nature of the child is 'I', and of everything that he possesses he says 'my'. And if that is not changed, if the same attitude remains, when that child grows older, he becomes hard to those around him, for his 'I', and of everything that he possesses he says 'my'. And if that is not changed, if the same attitude remains, when that child grows older, he becomes hard to those around him, for his 'I' and what he calls 'my', becomes difficult for all those around him. The whole religious, spiritual and philosophical teaching leads us towards the development of the personality. There is something that is made by nature in man, but there is something that the man himself has to make. Man is born as man, but man develops to become humane. And if man remains only man as he is born, and the same qualities with which he is born remain undeveloped, and without being refined, then he does not fulfill the object of life. With all the great Teachers and Masters of this world who have come from time to time, and whom we recognize as Saints and Sages, Masters, Teachers and inspired helpers, it is not always the philosophy they taught man, it is not always the dogmas or the form of religion they gave that was of the greatest importance. What has been of the greatest importance is their personality, their person. The teachings of Buddha are held by many millions, but more than his teachings is the life he lived and the wisdom he expressed in his life, for there is the fulfillment. Man is born with a purpose, and that purpose is fulfilled in the refinement of his personality. This unrefined nature of the ego, when developed through life, has an effect like the sting of a thorn. Wherever, whoever, whatever it touches, it causes some harm or disturbance, some destruction. And so personalities in human beings, when they are not refined, and they have before them all temptations, all things that attract them, things they like and admire and wish to have, then they go against the conflicting activities of life, they rub up against everything like a thorn, tearing it to pieces. And what happens? No doubt when thorns rub against thorns they crush one another and they feel it less. But when thorns rub against flowers, they tear them to pieces. If you will ask individuals in this world, in all walks of life, 'Tell me, what is your difficulty in life?' perhaps they will tell you that they lack wealth or power or position, but mostly the complaints will be that they are in some way or other hurt by others, by friend, or parent, or child, lifemate, or neighbor, or co-worker; they are disturbed or troubled and in difficulty from this thorn-life influence from morning to evening touching them and scratching them. And yet man does not seem to think deeply on this subject. Life is blinding, and it keeps man busy and engaged finding fault with others. He does not find the thorn in himself, he always sees the thorn in others. Sadi, in simple language, has tried to give man a helping hand towards the development in his personality of that flowerlike quality; to train this personality which was made to be a flower and to help. His whole life's work has been to explain to man how life can turn into a flower. He has called his books 'Gulistan' which means a flower-bed or a rose-garden, and 'Bustan' a place of all sorts of fragrances, a place of fragrance. In this he has tried to explain to man how the heart can be turned into a flower. In reality it is a flower, it is made to be a flower, it is made to spread its perfume. If only you trained it and tended it, it would show the delicacy and beauty and fragrance of a flower; and that is the purpose of your life. There is no mystification in Sadi's poetry. It is full of wit and intelligence, and at the same time original. And the most wonderful thing that one sees in the poetry of Sadi is his humorous trend of mind. He is ready to look at the funny side of things and to amuse himself and enjoy. And how few of us in this world know what real, true mirth means, humor that is not vulgarized, nor abused. It shows the rhythm and tune of the soul. Without humor life is dull and depressing. Humor is the reflection of that divine life and sun which makes life like the day. And a person who reflects divine wisdom and divine joy, adds to the expression of his thought when he expresses his ideas with mirth. He wanted life to be joyous. Spirituality is not in a long face and deep sigh. No doubt there are moments when you will sympathize with the troubles of others; there are moments that move you to tears, and there are times when you must just close your lips. But there are other moments when you can see the joyous side of life and enjoy its beauties. Man is not born into this world for depression and unhappiness. His very being is happiness. Depression is something unnatural. By this I do not mean to say that sorrow is a sin or suffering always avoidable. We all have to experience both in life, to accomplish the purpose of life. We cannot always be smiling. There is no spiritual evolution in ignoring either side of life. Spirituality is in every side of life. As long as one is not bound, it is no sin to stand in the midst of life. Man need not go into the forest, away from all people, to show his goodness and virtue. Of what use is his goodness and virtue if he buries himself in the forest? It is in the very midst of life that we have to develop and express all that is beautiful and perfect and divine in our souls.